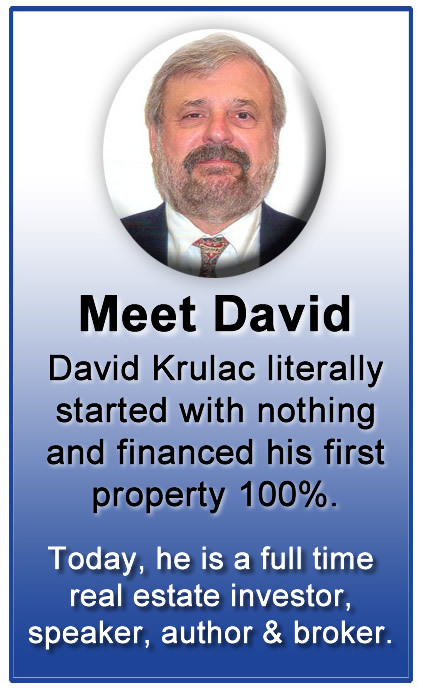 Author David Krulac has made $12 Million in real estate and teaches you much of how he has done that by example. Lots and lots of examples. David has done it all – everything from cheap houses to tax sales to HUD repo’s to foreclosures – and everything in between. Through 124 completed real-world real estate transactions, he shows you exactly how he did it step-by-step and how you can do it too. This is a big, meaty book full of real estate lessons, and it should be part of every real estate investor’s library. 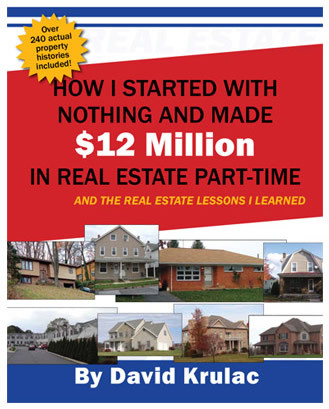 I highly recommend “How I Started with Nothing and Made $12 Million in Real Estate Part-Time” and suggest you get your copy today. "HOW I STARTED WITH NOTHING AND MADE $12 MILLION IN REAL ESTATE PART-TIME AND THE REAL ESTATE LESSONS I LEARNED"